Also in Australia this week, a man who tried to abscond with an expensive comic book from a store in Adelaide was apprehended by an ad hoc team of superheroes and turned over to police. Unfortunately for the villain, he chose to rob the store on International Free Comic Day, meaning that the owner and about 40 patrons were present, each dressed as his or her (but almost certainly his) favorite superhero. 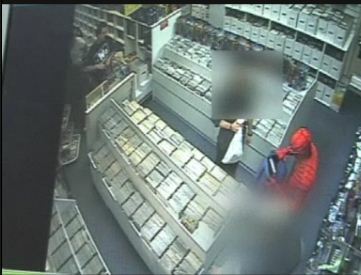 Store security video shows Spider-Man pursuing the evildoer and demanding that he return the X-Men omnibus edition he had allegedly taken. "The thief didn't have much of a choice but to hand the book back after a little bit of a scuffle," the masked avenger later told reporters. While Spider-Man probably could have handled the guy all by himself, he had help. According to the Telegraph, "a group of Jedi knights blocked the door to prevent [the thief] from escaping, along with The Flash." Faced with a team of adversaries like that, you might as well surrender. You can't out-fight the Jedi and you'll never outrun the Flash. Spider-Man is the least of your worries at that point.